Let’s face it, the only difference between an 8lb medicine ball and an 8lb pumpkin is the taste. I think we can all can agree that pumpkin is delicious and a medicine ball is a little harder to swallow. 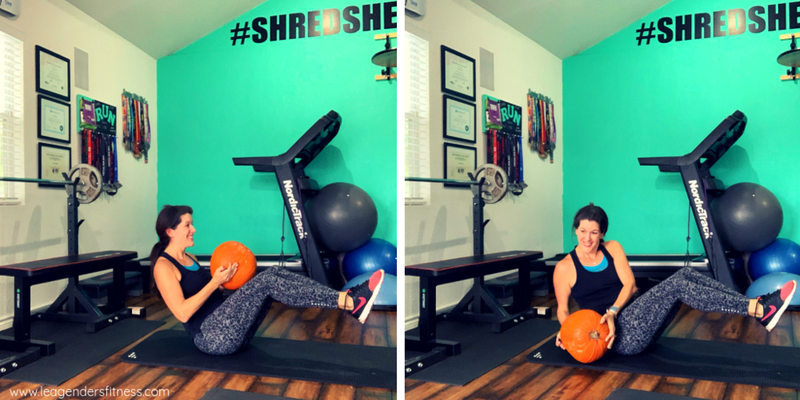 Now that autumn weather has finally arrived in Texas, I am celebrating by sharing a fun pumpkin workout for “workout Wednesday;” Just replace your medicine ball with a pumpkin for these exercises. Perform 8-12 reps of each exercise with little to no rest between moves. Rest for one minute once you complete them all, then repeat two or three more times. 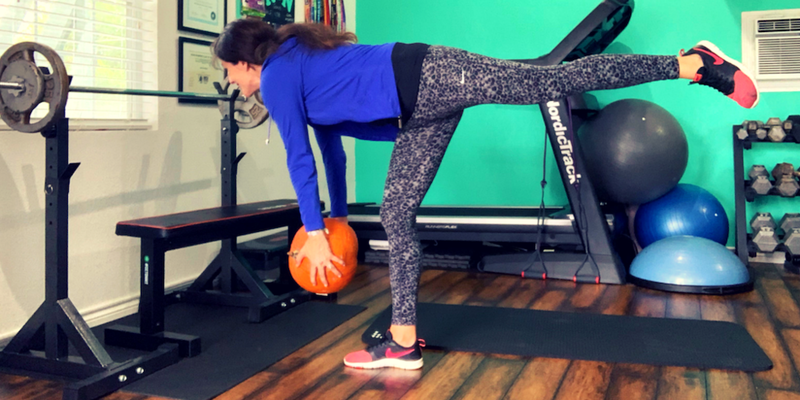 Hold a pumpkin with straight arms in front of your chest, with your feet hip-width apart and your toes pointed straight ahead, engage your core and keep your back straight. Take one large step with your right leg to lunge forward until your front knee is lined up over your ankle and your back knee is nearly touching the floor. Do not allow your knee to move forward over your toes. Twist your torso towards your forward leg. Return to center and push up to starting position. Repeat on the other leg Perform 8-12 reps on each leg. Hold pumpkin and lean forward by hinging at the hip. Keep your back flat and pull the pumpkin in by bending your elbows, keeping them close to your body. Lower weight to return to starting position. Perform 12 reps. 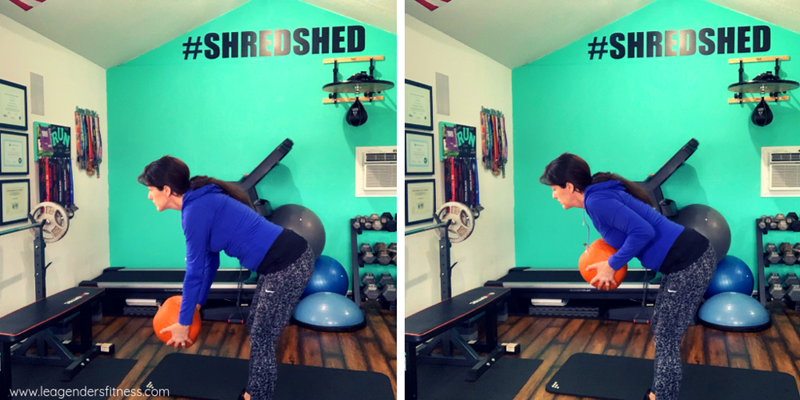 Hold a pumpkin with both hands, balance on one leg, keep your standing knee soft (slightly bent) and perform a deadlift by hinging at your hip while keeping your back straight and neck neutral. Extend your free leg behind you in line with your body. Lower your body until your back is parallel to the floor, or as low as you can go without rounding your back. Return to starting position and repeat on the other side. Perform 8-12 reps on each leg. Lie on your back with your knees bent and your feet flat on the floor. Hold the pumpkin at your chest and as you raise your hips off the floor straighten your arms to press the pumpkin to the ceiling. 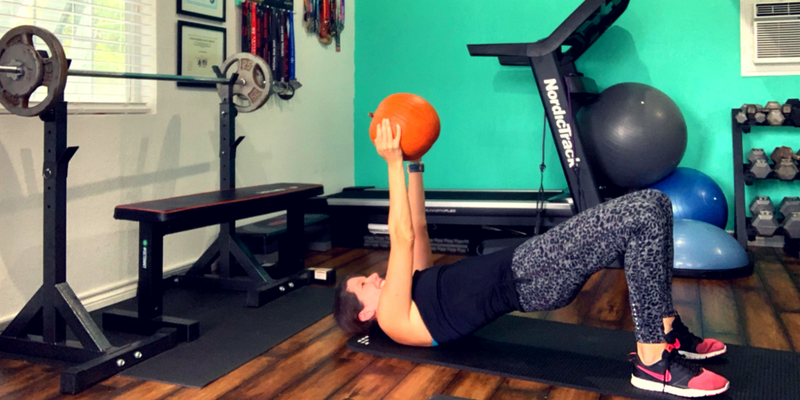 Brace your core and flex your glutes for two seconds at the top, then slowly lower your hips back to the floor and return the pumpkin to your chest. 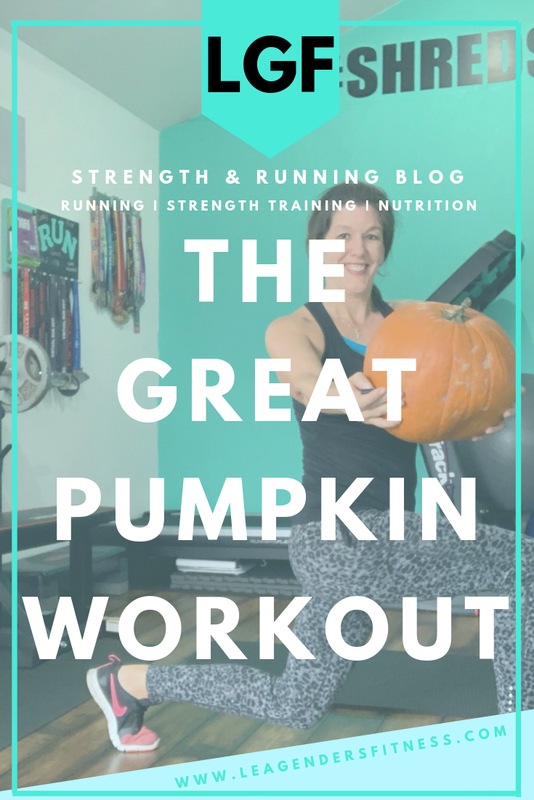 Perform 12 reps.
With your back a 45-degree angle and your heels off the ground, twist your torso to one side and touch the pumpkin to the ground, return to center and pause, then repeat on the other side. Place your heels on the ground if it’s too difficult. Perform 8-12 reps on each side. Indoors or out, carve out some time for this pumpkin-themed circuit. When you’re finished with your workout, you can celebrate by making a pie. Download a printable copy of this workout and receive updates from the strength and running blog. Thank you! Click here to download this work out. the great pumpkin workout exercises. Save to your favorite Pinterest board for later.